I’ve been wanting to do a collaboration with Garrick Stegner for like years now. I’m so excited for this opportunity for us to make each other’s favorite childhood cookies. I’m a wee bit older than Garrick, so I never actually had dunkaroos (I heard that gasp). I really hope these taste like actual dunkaroos, but if they don’t, I can assure you that they’re at least cute and delicious. Head over to his instagram to find out what my childhood cookie was that he managed to veganize because he’s a damned warlock. 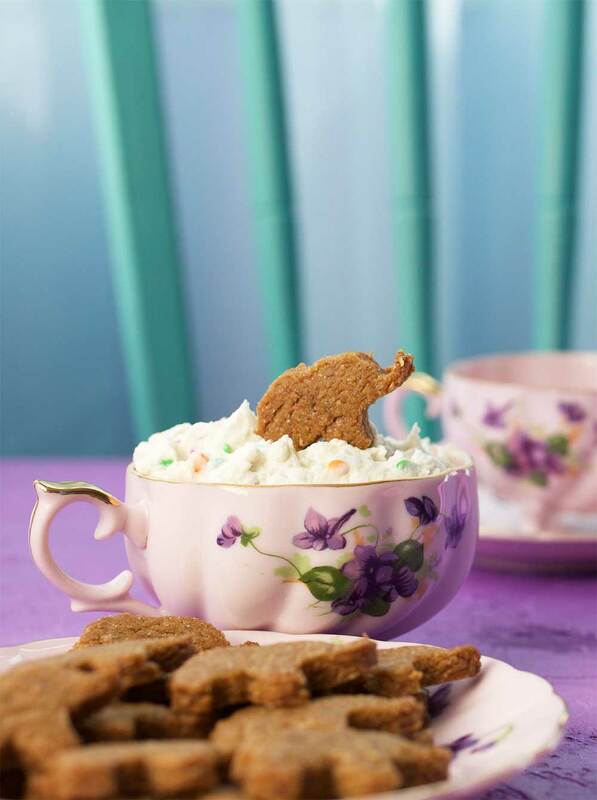 I’m not sure what kind of sprinkles are usually used to make dunkaroo dip, but I really like pastel quins, so I chose those. If you want to use a different kind of sprinkles, check out my comprehensive list of vegan sprinkles. This recipe makes 40 small cookies with funfetti frosting dip. Mix together the first 6 ingredients (flour through salt) with a stand mixer fitted with the beater blade. Add the brown rice syrup, molasses, water, and vanilla. Drizzle in the oil slowly while the mixer is running. Mix on low until thoroughly combined. Knead the dough by hand until it all sticks together and form into a disc. Wrap the disc in plastic wrap and refrigerate for at least 1 hour. Line 2 baking sheets with parchment paper, and place a 3rd piece of parchment onto the counter. Roll the dough disk on top of the parchment paper to ¼ inch thickness. If your rolling pin doesn’t have the measurement stoppers on it, just roll it the thickness of a graham cracker. 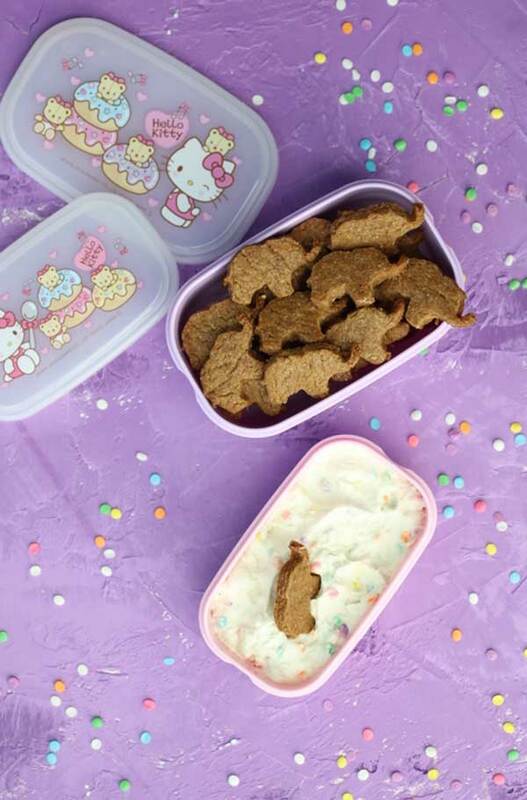 Cut as many cookies as you can from the dough with your cute animal cookie cutter of choice. I used an elephant. If you’re making more than one animal, don’t mix multiple animals on the same pan (if you want an even bake). I dipped my cookie cutter in graham flour between each cut because I think it helps the cookie come out easier without breaking. Place the cookie dough shapes on the parchment-covered baking sheets, leaving a little space between each one for growth. Repeat the rolling and cutting out with the remaining dough while your first batch is baking. Cool on the baking sheet for a few minutes before transferring to a cooling rack to cool completely. 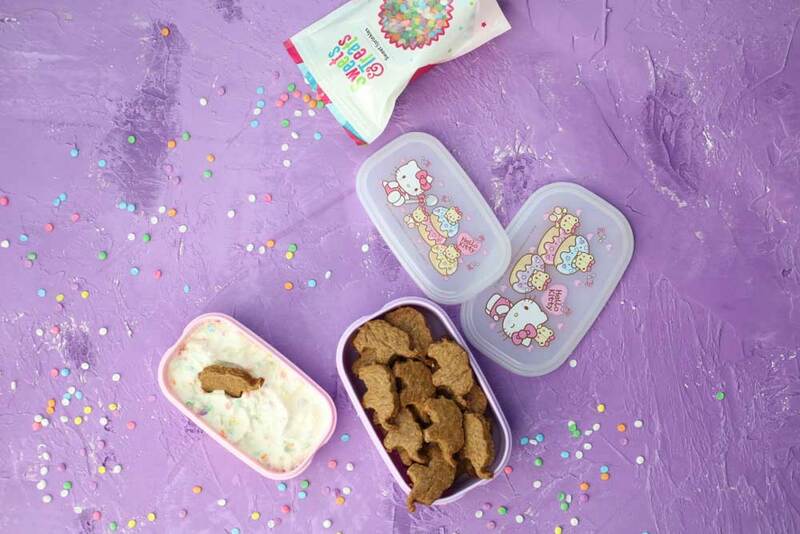 Store the dunkaroos (once completely cooled) in an airtight container for up to 2 months, if you have willpower, which I do not, so I’ve never actually tested this claim I’m making. If your container isn’t air-tight, they might get soft. If that happens, just bake them at 300°F for a few minutes to crisp them up again. 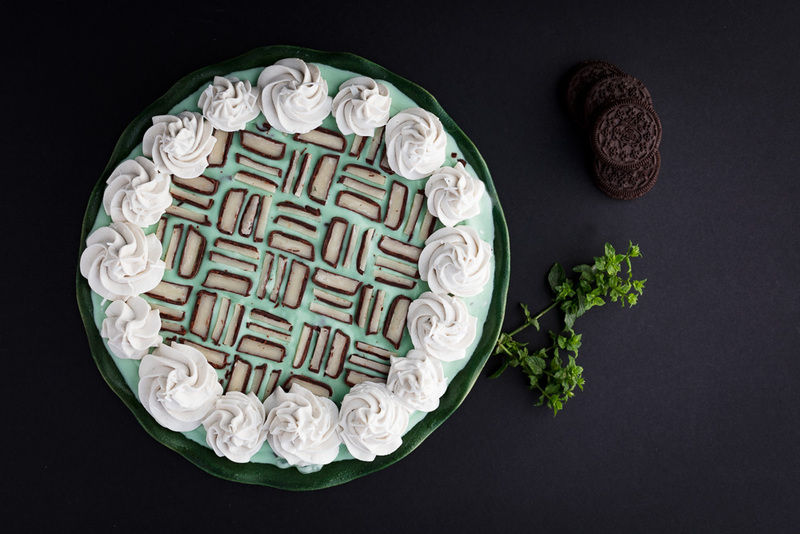 Whisk the shortening, margarine, and vanilla for 1 minute using an electric or stand mixer. Scrape the sides of the bowl once and mix again. Sift in the ½ cup of powdered sugar. Mix for 1 more minute, scrape the sides with a spatula, and mix again. 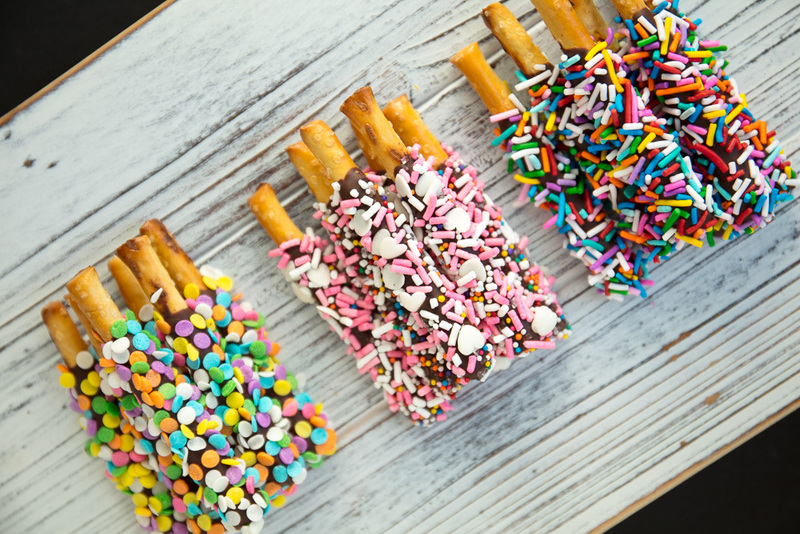 Add sprinkles and mix by hand. I used the pastel sequins made by Sweets & Treats. 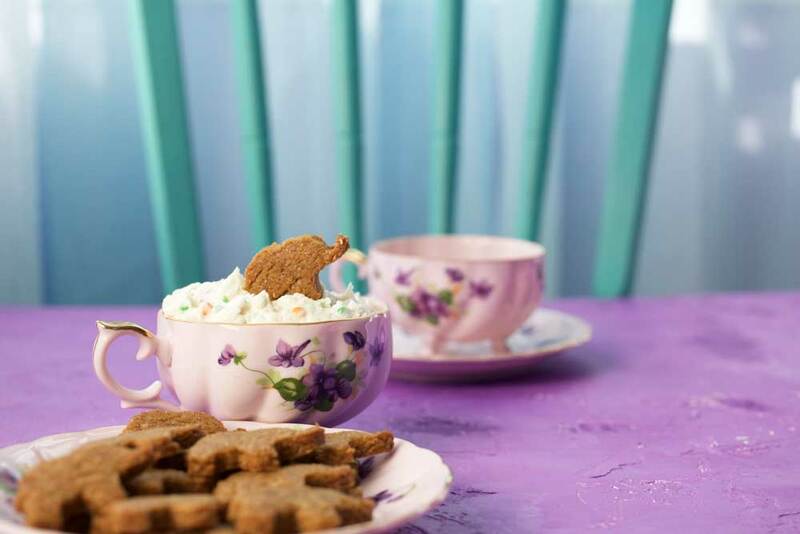 Serve with the vegan dunkaroos elephant cookies. 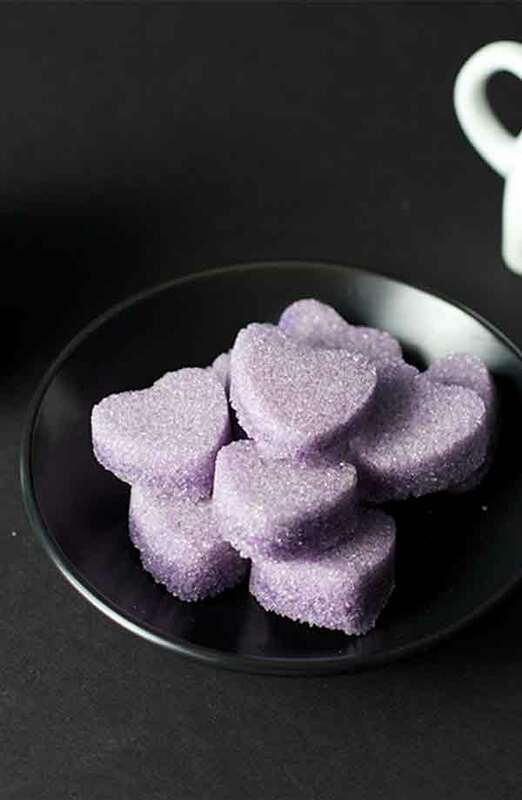 DIY sugar cubes can be made into stars, hearts, or any shape you prefer. Enjoying this content? Subscribe to our newsletter to get exclusive recipes in your email.